Exclusive! A colorful garden and clear blue skies highlight the thatched-roof cottage in this winsome country scene. It's sure to add a touch of old-world charm to any room. 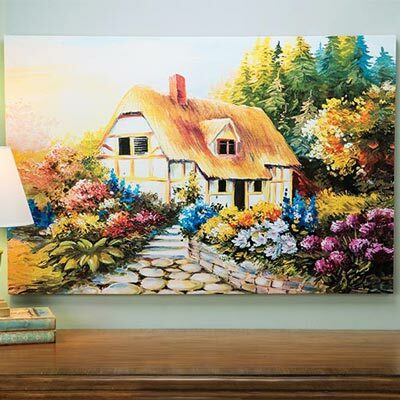 Our Country Cottage Canvas is gallery-wrapped canvas on solid wood frame. Includes hanging cord on back. 24"h, 36"w.